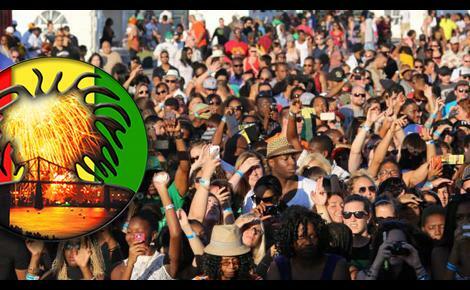 CKUT is home base for all the reggae happenings in Montreal, and this year we are going to be ALL over the 11th Annual Montreal International Reggae Festival. From 4pm till midnight on Saturday August 16th and Sunday August 17th, CKUT will be broadcasting LIVE from the Old Port with all of your favourite radio hosts. Hosts of CKUT’s Caribbean Programming: Positive Vibes, Butcher T’s Noon Time Cuts, Weekend Groove, Soca Sessions, West Indian Rhythms, Masters At Work, Bhum Bhum Tyme, Roots Rock Rebel, Roots Rock Reggae, Full Circle and New Born Reggae Ting will all be there! Tune in this weekend to hear it live, or better yet – come say hi to us at the festival and chill with the CKUT crew in person. This entry was posted in CKUT programming, Events on August 15, 2014 by admin.